Bring a touch of romance to your bridal party with this stunning style! 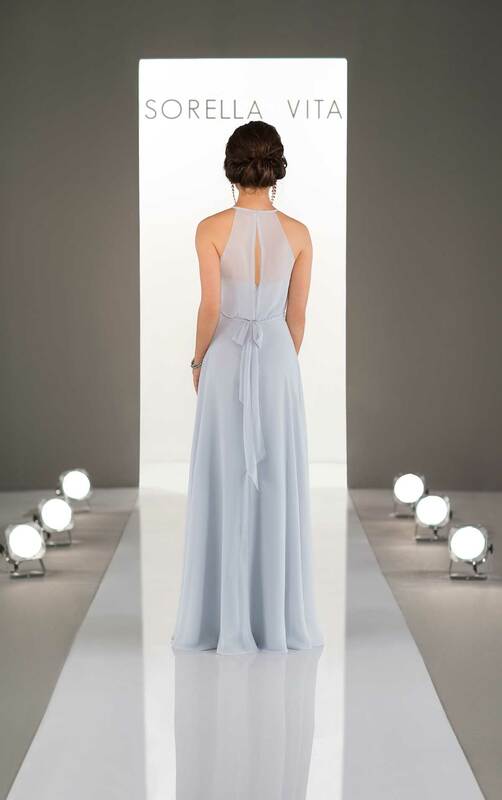 Featuring a flowing skirt and blouson top, this floor-length bridesmaid dress frames the face with its modern halter neckline. Made in a carefree chiffon fabric, your bridesmaids will move with ease and comfort all night long.